We all have bills to pay. 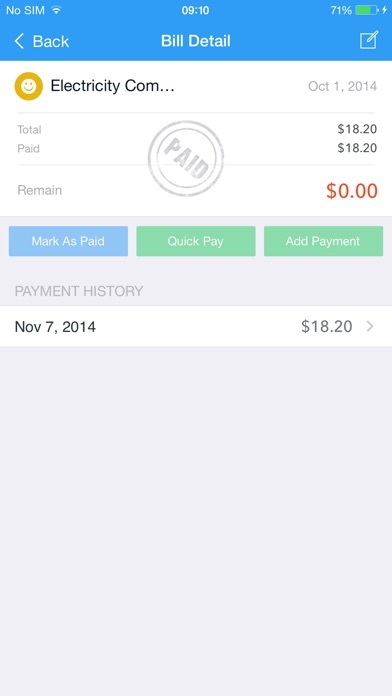 This application helps you pay your bill on time and manage future payments. With Bill Keeper you’ll never late for another bill. 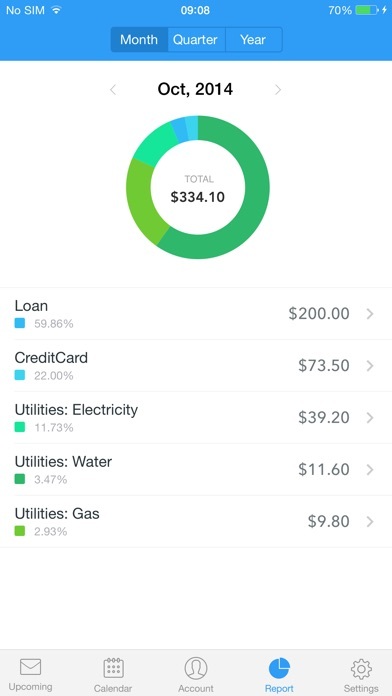 It simplifies your financial life by managing and tracking your bills, and reminding when a bill is due. Bill Keeper has a friendly user interface. You will know at a glance which bills need your attention and you can also track your expenses with beautiful charts and graphs. 4 ways to never forget a due bill: √ Instantly see what bills are quickly approaching or past due in the upcoming module. 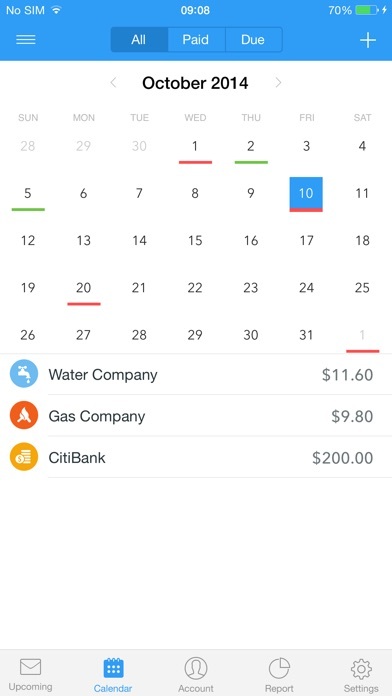 √ Calendar and bill list page visually represent all of the paid and unpaid bills of each month. 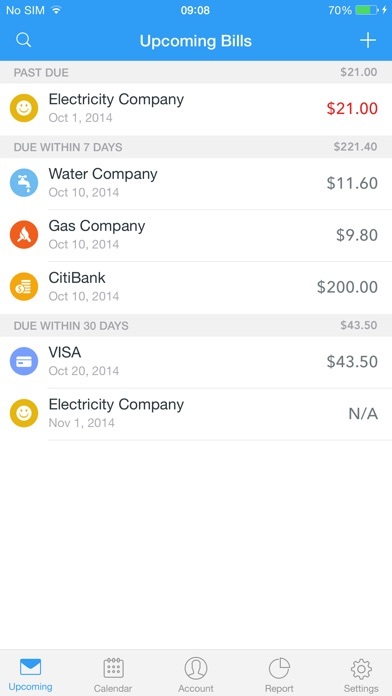 √ Set alerts to remind you of when your bills are due. √ Badge icon also serve as a reminder of due bills. More Features: √ Supports iOS5. √ Create any number of accounts, categories and bills. √ Flexible design allow customization of any number of recurring bills and unknown amount. √ Add multiple payments per bill. √ Allows for the paying of individual bills in full or in part. √ Convenient Calendar View. √ Export to CSV & HTML. √ Auto Pay Bills. 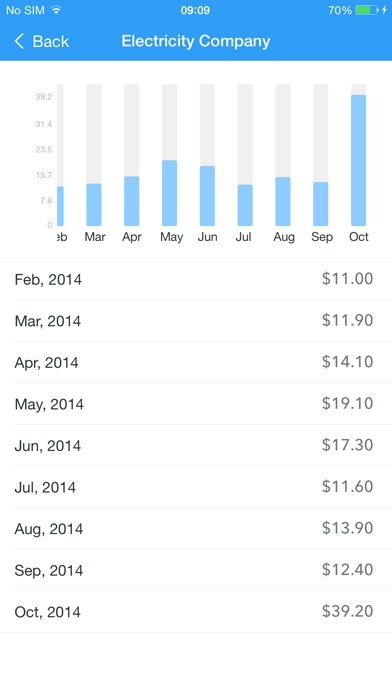 √ Provides payment history to check your payments. √ Supports multiple currency. √ Passcode Protection. If you have any problems or suggestions please send a mail to billkeeper@appxy.com, you’ll get the response in a short time. Disappointed this app has not been updated to be compatible with IOS 11. Is there a plan to update? It was my favorite bill tracking app. I was using this app and it was so GREAT!! It really helped me to budget well! Unfortunately, I updated my phone and found out after the fact that this app has not been updated in 3 years. I have to redo everything and find a new app because Bill keeper is no longer compatible with my phone. App was very helpful but updated phone and no longer works. Please update! My IPhone just updated to iOS 11, and now this app is unable to be updated. I believe it says it’s because of the app itself. I have really enjoyed this app up until now, so if this can be fixed, I would greatly appreciate it!